I’m writing this as I’ve discovered the terrible news about Iain Banks’ death, so, perhaps a bit apropos. He was a good man, and Raw Spirit was what got me thinking critically about whisky, in the same way that The Wasp Factory made me want to be a writer. So, there’s that, and it may colour my thoughts of the whisky. Iain: This Islay’s for you. Kilchoman is Islay’s newest distillery – established in 1995, the last being 1871. They are a craft whisky, using small stills and growing all their own barley. 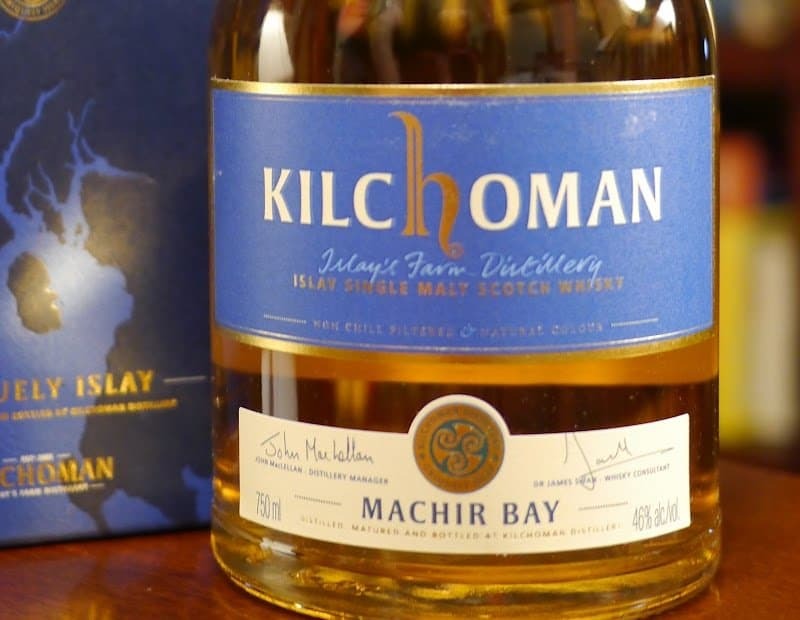 The Machir Bay is their flagship whisky, a blend of 4, 5, and 6 (!!!) year old whisky aged in ex-bourbon casks, with the youngest whisky finished in ex-Oloroso sherry casks for just a few weeks. You’ll note that this is, on average, 5 year old whisky. 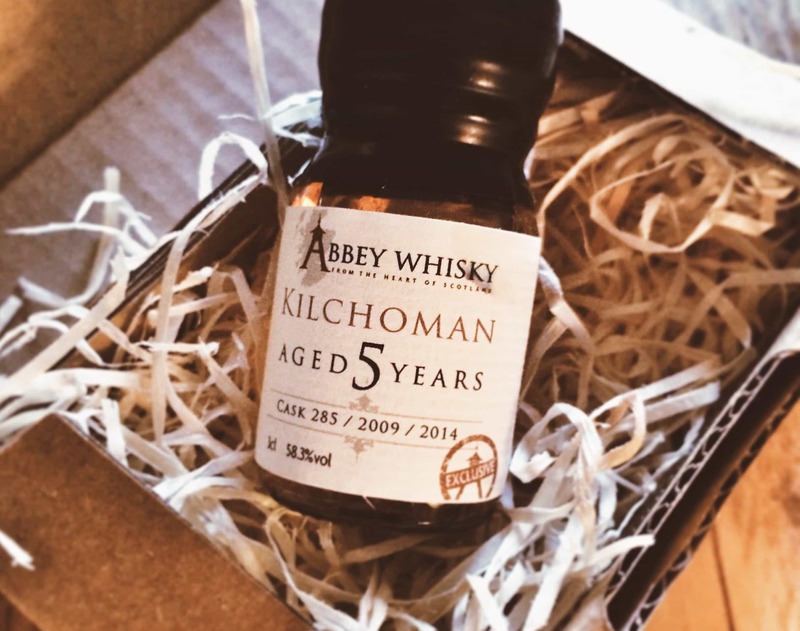 I met the Kilchoman founders at the Whisky Show earlier this year, and they were very coy about their plans for older whiskies – they said “sure, we’ll do older whiskies, but we’re really just about making fabulous whisky”. Which is what they do. In the glass: pale straw-coloured, almost like thin sunlight breaking through on a winter’s day. On the nose: sweetness like honey, a hint of anise and sweet herbs. In the mouth: Brine. Iodine. Seaweed. Peat smoke from a pit fire all layered over sutble sweetness and honey. At 46%, there’s not much in the way of a burn. It’s a little raw, but more a fierce warmth. I’d not water this whisky at all. The owners say that the whisky is theirs from soup to nuts (or, perhaps, from tiller to barrel?) – they grow their own barley, cut their own peat, and all. They’re not afraid to break with tradition, serving a top quality whisky with no age label. I’d be really interested to taste a barrel of this in another 5-12 years, just as a comparison, but there’s no need to wait. 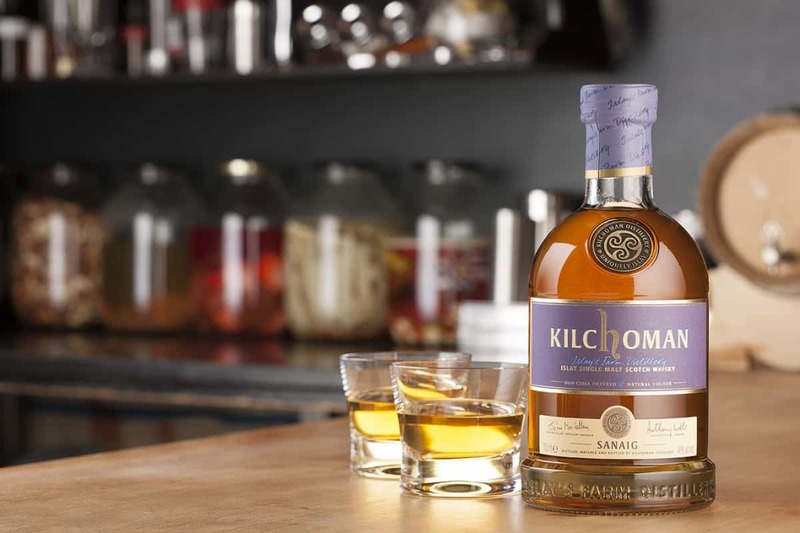 This is a monster of a whisky – there’s a tiny bit of rawness in it, but it’s undeniably drinkable and excellent, and Kilchoman is a distillery to watch, and drink with. Have with shellfish, sushi, as an apertif, digestif… or anything. It’s Clare’s favourite of all the malts I’ve brought home. Support all round at the rebuilding of the old Annandale Distillery (please, visit their delightful website for news of the rebuilding of this, what will be, once again, the first Distillery on entering Scotland-the whole rebuilding process is being recorded.) The Distillery, “Born 1830, Fell into a deep slumber 1919, Wakened from slumber 2007”, once owned by one ‘John’ Walker, the second Distillery the man acquired (the first, I unbelieve, being Cardow-now Cardhu-one of the “Classic Malts”). That the Distillery will, when ready, be a welcome addition to Scotch Whisky… great to see another Distillery reopening! I’m sure everyone will have a wee dram of something Heavenly (tho’ not depriving the Angels of their share! )-to the success of the hard work and dedication of all involved. Regular readers may have been forgiven for thinking that I’d stopped buying whisky since the summer, but nothing could be further from the truth. I’ve..